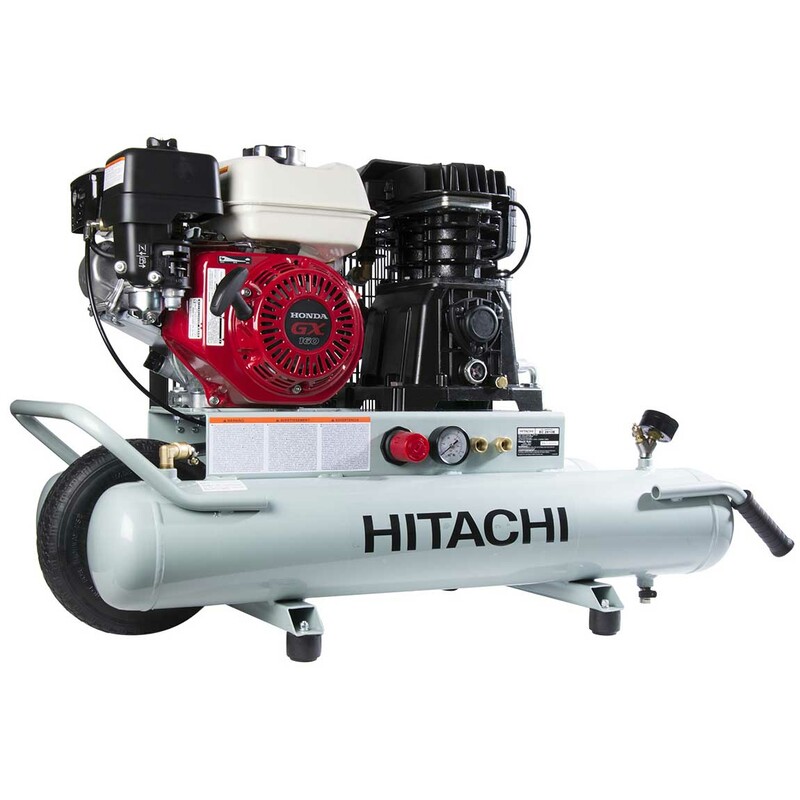 The Hitachi 8-Gallon Gas Powered Wheelbarrow Air Compressor is a professional grade compressor that features a powerful Honda GX 160 gas engine that delivers a reliable and rugged performance. 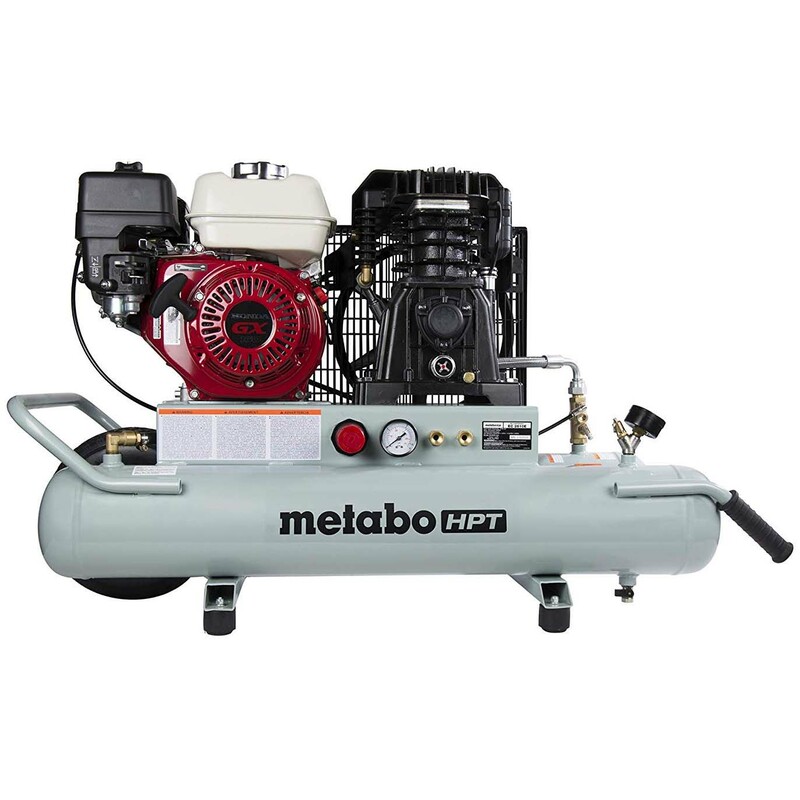 Its 9.5 CFM delivered at 90 PSI will allow for the operation of multiple nailers simultaneously. 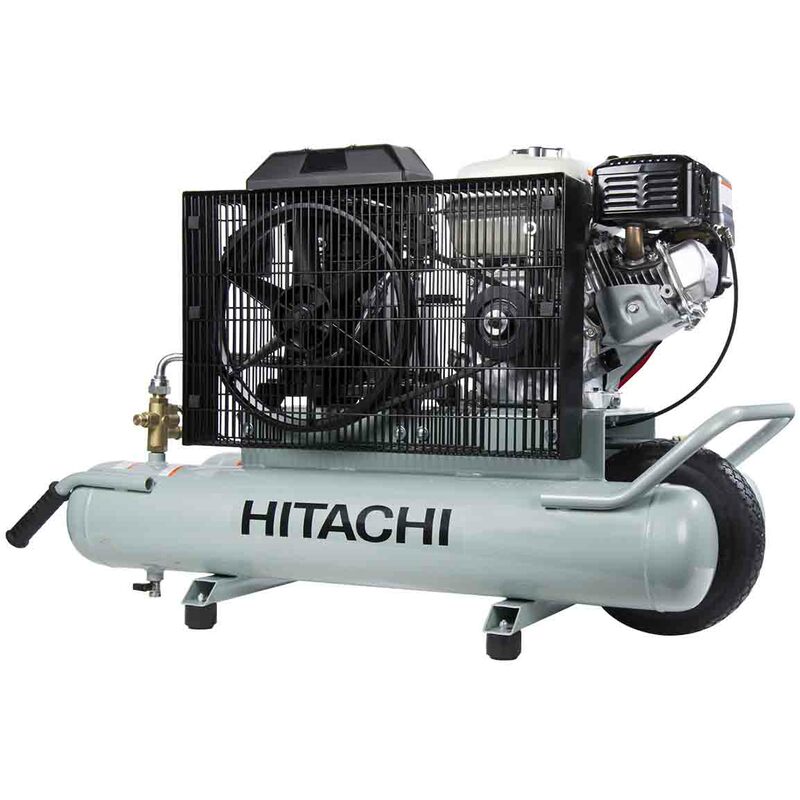 The base plate integrated control panel protects the gauge, regulator and plumbing, while centralizing the controls for simple operation. 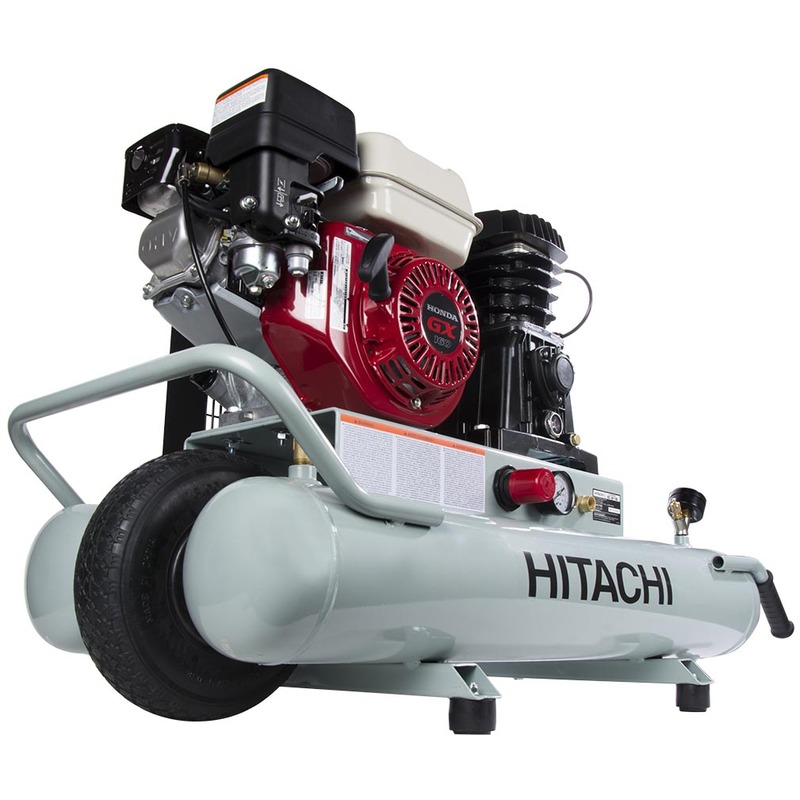 This industrial air compressor from Hitachi has a solid flat-free rubber tire for dependable transport over a rough terrain. 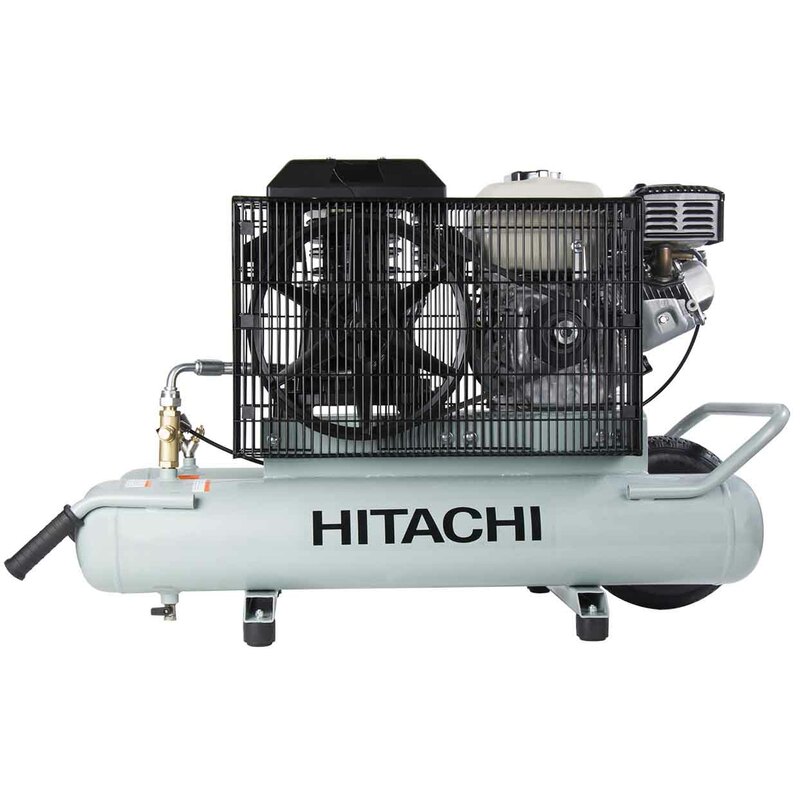 The compressor comes with 1 breather pipe and 1 breather pipe plug.